Roger Federer is confident that he will be fit to play at Roland Garros, despite his 6-7(2), 4-6 third-round loss to Dominic Thiem on Thursday at the Internazionali BNL d'Italia. The former world number one has been battling against knee surgery and back injuries this year and was not at his best, admitted, "I'm happy I was able to play and still feel about the same, like yesterday, not worse. That was most important. The next 10, 12 days are really going to be important for me to recover, and then make a plan. "I'm confident and hopeful at the same time. I have only played five matches in the last four months now, so clearly I don't want to get too overly excited about what's ahead, but at the same time I'm a positive thinker and I believe that I'm going to recover. "I knew I wasn't good enough for any result here, so that's why I hope you don't read into it so much, and I don't. This is like, 'Who cares about the results here?' It matters what comes now in the next couple of months. "Hopefully, the next 10 days are going to be easier and I can practice really well, sort of starting next week. That's the hope I have and then we'll see the rest, how it's going to come." Federer, who had practiced on clay in Miami and for 10 days in the build-up to last month's Monte-Carlo Rolex Masters, is not concerned that he lacks matches. 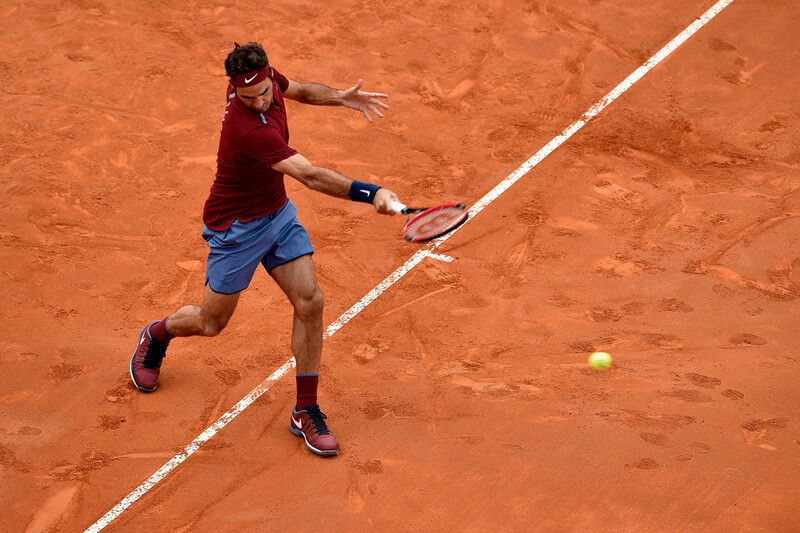 "I have never had better clay-court preparation, to be honest," said Federer. "I have a lot of hours on the clay already this year. Maybe not on match courts but on practice courts. "I actually thought I could really do a good result in Paris. Now the past couple of weeks it's been more difficult. I see my chances as not great to have the most unbelievable run, but if maybe in three, four days I can practice 100 per cent for the next week, then I believe that something is possible again. "Time starts ticking more towards Paris. Clearly, the way I'm playing right now is never going to be enough for any good run in Paris, and then I also wouldn't play this way. I'm still confident I will be fine somehow." Federer will enter the second Grand Slam championship of the year - Roland Garros, which begins on 22 May, with an 11-4 record on the season. Federer remains two match wins (1,070) away from moving past Ivan Lendl to No. 2 in the Open Era list for most victories. Jimmy Connors leads with 1,256 match wins.